It’s that time of year again, when social media is awash with reminders of how our years went. Nowhere does this work better than on Instagram, where you’re probably seeing your friends sharing their nine best photos of the year. If you want to create a similar grid, here’s how. The website will generate a grid for you of your nine most popular photos, and will also provide info on how many likes you’ve received over the year. Underneath the grid, click Photo only version. Right click the image and click Save image as. There are several ways you can get that photo from your computer to Instagram. The easiest way is to email it to yourself, download it to your phone, and then upload it to Instagram with the hashtag #2017bestnine. If you want to be a bit fancier, upload the photo to a cloud storage account like Dropbox or Google Drive. With the app for that storage account on your phone, you can save the photo to your camera roll and then upload it to Instagram. Depending on your phone and computer set up, you could send the photo from your computer to your phone using Bluetooth. For example, Mac/iOS users can use Airdrop 9 Quick Ways to Share Files & Folders from a Mac 9 Quick Ways to Share Files & Folders from a Mac Sick of dragging files into email messages whenever you want to share something? There might be a better way. Read More whereas Mac/Android users can opt for Android File Transfer How to Transfer Files Between Android and Mac: 7 Easy Methods How to Transfer Files Between Android and Mac: 7 Easy Methods Need to transfer files between your Android phone and Mac computer? Here are simple ways to move data between those platforms. Read More and its alternatives Move Files from Mac to Android Without Android File Transfer Move Files from Mac to Android Without Android File Transfer If you need to transfer files between your Android device and Mac computer, these tools make it quick and easy. Read More . 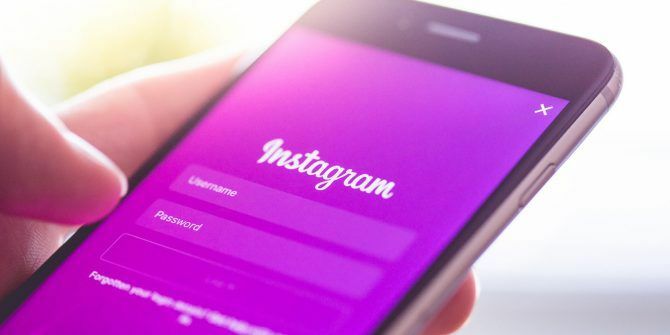 Another option would be to upload to Instagram directly from Chrome Use This Trick to Post to Instagram With Chrome Use This Trick to Post to Instagram With Chrome Chrome users can take advantage of this little trick that lets you post to Instagram without a mobile device. Read More or your Windows machine How to Use Instagram on Your Windows Desktop How to Use Instagram on Your Windows Desktop Want to use Instagram on your desktop? Here are the best methods for viewing and sharing photos using the service on Windows. Read More (if you have a touchscreen device). To see what other people have shared, check out the hashtag #2017bestnine. What turned up on your 2017 best nine photos of Instagram? Let us know in the comments. I sent a message to someone and their face was in the circle, indicating it was sent and read. When I went back to look that same message now has a white circle with a check mark. I'm thinking they did something in their end but what does that indicate they did? Delete our conversation I'm thinking?